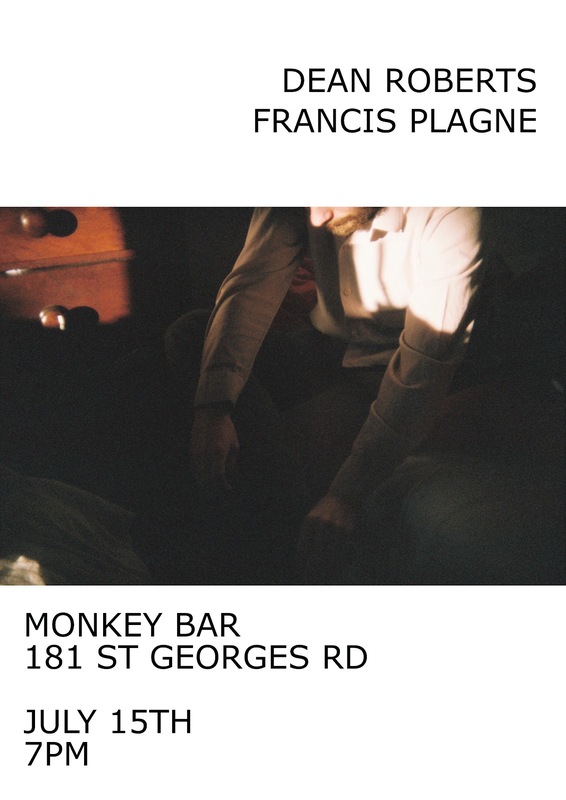 Organised by Francis Plagne and Joe Talia, at Westspace (Level 1, 225 Bourke Street). Friday 27 July, 7.30pm: performances of textscores by Antoine Beuger, Michael Pisaro, James Tenney and Christian Wolff. Friday 3 August, 7.30pm: Robbie Avenaim/ Sean Baxter/Joe Talia + Kris Wanders Unit + Ben Byrne + Wife (Eric Demetriou and Samaan Fieck). 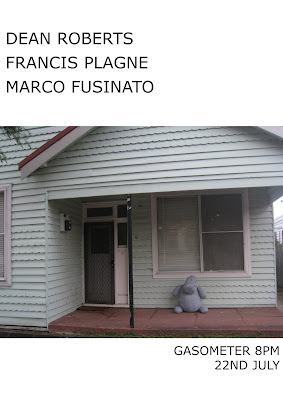 Friday 10 August, 7.30pm: Arek Gulbenkoglu/ Rosalind Hall + Alex Gardsen (John Fahey set) + Potato Room (Sean McMorrow, Francis Plagne, Joe Talia) + Samuel Dunscombe. 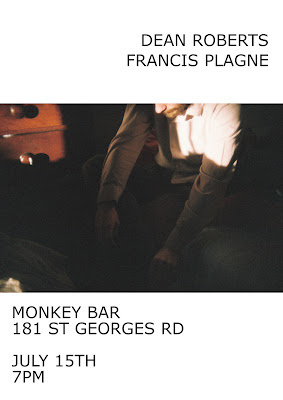 Friday 17 August, 7.30pm: Francis Plagne Band + Yuko Kono + Mole House.